RANDA Solutions is now sharply focused on supporting state-level efforts to manage teacher effectiveness data and plans to hold in abeyance making a decision about inorganic growth options until it reaches its next growth milestone. Founder-CEO Marty Reed also told Venture Nashville the 18-year-old Franklin Cool Springs-based company aims to go-live by March 15 with its new Ethereum-based blockchain solution for validating licensure of teachers migrating from one state to another. He said the company is profitable, with 27 staff. Asked about revenue, Reed confirmed only that RANDA's revenue is currently running at a rate greater than 2012's $8.2MM sales, reported at the time by INC.
Today, State governments pay RANDA to enable their data systems to help translate data flows that bring state agencies updates on data used in creating a picture of teacher effectiveness. "States pay us to build-out workflow management tools" to manage data generated through the entire "lifecycle of a [licensed] teacher in the state," said Reed. For example, RANDA's solution addresses teachers' requests for certification or licensure, which typically requires validation from an accredited institution. Once a teacher is in a state's information system, RANDA solutions help administrators track teacher evaluations, professional growth indicators and other variables. Reed emphasized that since about 2012 many agencies try to avert tech-interoperability problems by positioning application programming interfaces (APIs) between state agencies and the local school districts with which they must exchange data, but that is generally not sufficient to ensure that data transmitted is "noise-free" and correctly interpreted. RAND's "Last Mile Interoperability Platform" strengthens states' abilities to translate and map vital content, and uses an "AI Engine" and a probability model to support generation of intelligent recommendations and suggestions. About seven years ago, the company was much more focused on supporting individual school districts. In fact, in 2012 RANDA and a prospective private-equity sponsor devised a scenario by which they would acquire a pair of related businesses, and then pursue more of RANDA's then-core business with districts. Partly in anticipation of the M&A deals, Reed said RANDA ramped-up staffing and business development, and at one point had district clients in 35 states and 7 nations. However, the M&A-centered partnership and transactions did not come together and Reed took no outside capital. Reed subsequently restructured RANDA's business and shifted its focus from primarily serving individual school districts toward almost exclusively serving state government agencies that are pursuing improved interoperability for their state teacher effectiveness platforms. Reed confirmed that he regularly receives interest from would-be individual investors in his company, and in 2015 he declined to engage in discussions with an institutional investor that had approached. "We've been self-funded, end-to-end" and the company has never had a layoff, he said. That said, he also noted that he is likely to revisit the notion of accepting outside capital by the time his company has established itself in 10 to 15 states, which, given protracted sales cycles, could take another two years or more. The CEO said edtech remains a busy space for M&A. He noted the just-completed announcement of UK-based Pearson (LSE:PSON) selling its K12 print and digital instructional resources to Los Angeles-based Nexus Capital Management for a reported $250MM+. Though the deal came with potential future upside for the seller, EdSurge did not characterize the deal as reflecting a high valuation. In addition, i-banker Berkery Noyes released its full-year 2018 report on the sector, here; and, the acquisitive NYC-based firm Weld North firm announced another deal, here. Reed also cited SFO/CHI-based Thoma Bravo as a PE likely to remain active, in the wake of its 2017 acquisition of Frontline Education, described by some as a 'potential Unicorn'. There has long been ample evidence that investors, educators and their allies are onto the issue of edtech interoperability. For instance, check out this recent Ed-Fi interop update; this 2018 TechAdvocate article; this EducationWeek package; this QS edtech report; this Center for Data Driven Innovation report; this summary of the National Education Technology Plan; and, this post from the Michael and Susan Dell Foundation right here (also use the search function above the Dell Foundation post to search "interoperability"). Asked about RANDA competitors, Reed cited Thoma Bravo-backed and Malvern, Pa.-based Frontline Technologies Group; and, Santa Monica-based Cornerstone OnDemand, the latter a vintage 2017 IPO (CSOD) with $3.4BN market cap. Reed said he believes that those two firms, plus RANDA, represent the "top three" providers in RAND's vertical. Brief VNC research shows early-stage entrants generally "in the space," including Seattle-based Trakstar, which sometimes markets itself as a lower-cost alternative to Cornerstone OnDemand. Others entrants, such as TalentED (recently acquired by PowerSchool via its PeopleAdmin sub) seem closely adjacent, but much more focused on school district-level business. RANDA's CIO is Damon Tindall. Asked about outside advisors, Reed said his attorneys are Nashville-based J. Carson Stone III, and attorneys with Kramer Rayson LLP in Knoxville. Reed's accountants are with Blankenship CPA Group, Nashville, and he banks with Servis1st Bank and SunTrust. 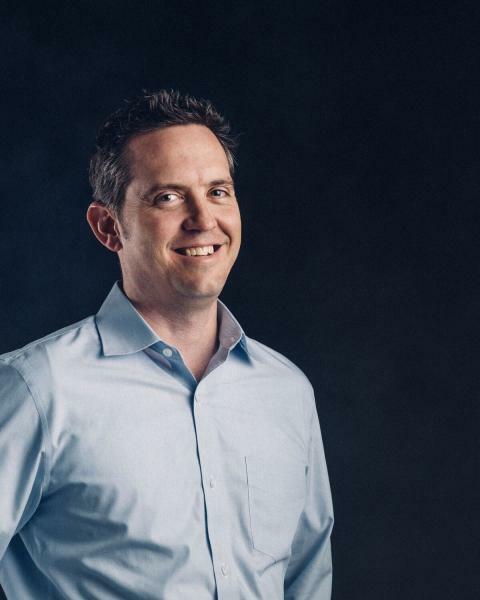 His PR-marketing is with St8mnt Inc.
Reed confirmed that RANDA previously sold an undisclosed asset to Nashville-based Thrivist, a Franklin-based learning and analytics company. In 2017, Thrivist assets were acquired by Ingram Content Group. Reed originally founded Reed & Associates in 2001 as a sole proprietorship for IT services and managed hosting services, and by 2003 registered the company with RANDA Solutions as its dba. Separately, Reed is managing partner of Ideation Holdings, a partnership that operates much as does a family office. Ideation typically invests in privately held companies in the manufacturing sector that are held by founders and/or owners who are contemplating retirement. 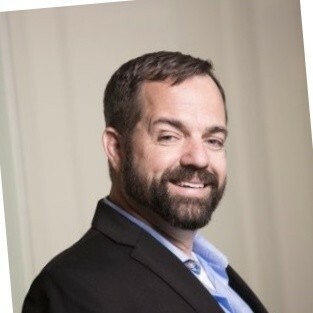 In his capacity as finance co-chair and President-Elect of EO Nashville, 42-year-old Reed also currently serves as an ex officio member of the board of directors of Nashville Technology Council. Reed is a graduate of the University of Tennessee. His LinkedIn is here.